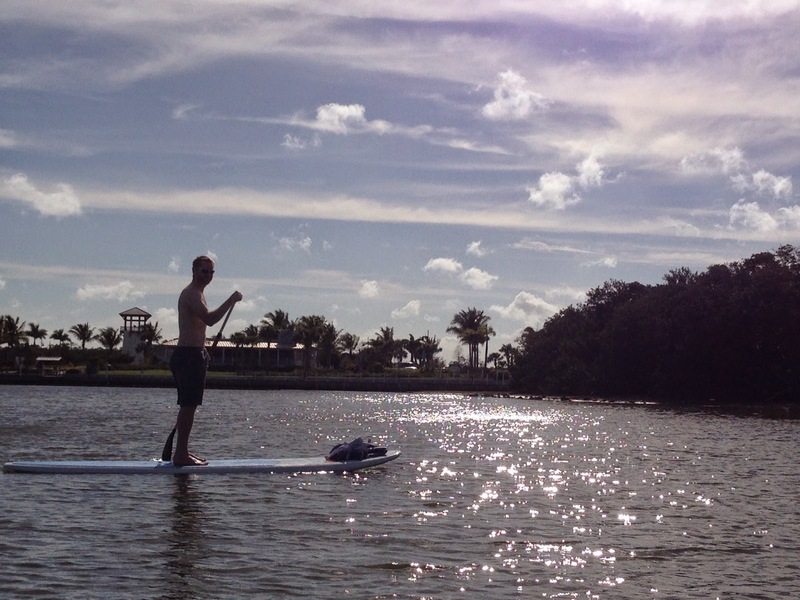 A couple weeks ago, my husband and I got to go paddle boarding on Anna Maria Island in Florida, near Tampa. We’d done it before so decided against lessons this time around. We rented two boards for an hour and jumped in the water. The owner mentioned some great mangrove tunnels around the corner that we could explore. I love getting out on the water and laying down on my board to enjoy the sun. But I knew Aaron would prefer to explore so off we went. The wind was whipping up the waves a bit and I remember asking the owner as we got the boards out, “It’s not too windy today to be out there?” “No, it should be okay,” I heard. I turned my face back the other way as warm, wet tears streamed down my cheeks. The cold wind whipped around me, as if to taunt my tear-streaked face. I took a deep breath and paddled as hard as I could. Ten minutes later, I was closer to the calmer water by the coast. We decided to head across a small inlet to another set of islands. The water looked fairly calm so I proceeded with tentative anticipation. I pouted and complained a couple more times, then decided to be quiet. Two thoughts quickly came to mind in the quiet. That’s life. Sometimes we get swept away with the difficulty of it all. It’s not fair. We’re so angry that we have to deal with this situation. But we do, and we will. What matters is our character and perspective in the midst of it all. Yeah, the paddling was really hard. But I made it worse by getting so angry. I apologized to Aaron for ruining our paddle boarding adventure. He was so gracious and kind. He just wanted me to have a good time. Aaron didn’t care where we went, as long as we were together. We quietly paddle boarded around this one small spot of calm water we found, took some pictures and prepared to head back to land. Then all the sudden, Aaron pointed animatedly behind me. Dolphins! Three dolphins were going after some fish about 20 yards from us! It was great to sit on our boards and watch the dolphins swim and enjoy the water. Did God order up some dolphin fun just because I asked? No. But I let go of my anger and tried to open up to the beauty around me. And I got to see what was already there. This life of faith is about developing new eyes for the world around us. May our journey to the cross and the empty tomb remind us there’s always more to see.